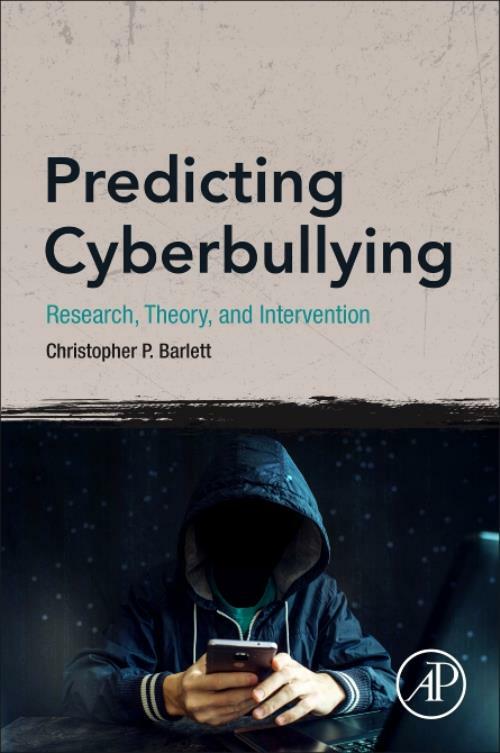 Predicting Cyberbullying delves into the theoretical advances that have been made to predict cyberbullying perpetration. It examines myriad psychological- and communication-based theories, discusses the relevant research to support (or not) each theory, and elucidates the strengths and limitations of these theories. Moreover, the book differentiates cyberbullying from traditional bullying to expand on a theory that takes such differences into account to predict perpetration. Then it adapts interventions to address these nuanced theoretical advancements and concludes with an examination of validated psychological theories, which can inform interventions to reduce cyberbullying. The book is an effective and concise reference for psychologists, school administrators, counselors, and psychological researchers looking to understand the theory and interventions for cyberbullies. Christopher Barlett was trained as an aggression scholar and has been studying the risk factors of cyberbullying perpetration since 2010. He has published over sixteen book chapters and peer-reviewed papers on the topic. He has conducted correlational and longitudinal studies devoted to examining the variables that predict cyberbullying in youth, emerging adults, and older adults. Dr. Barlett is the creator of the Barlett and Gentile Cyberbullying Model (BGCM), the only published cyberbullying-specific psychological model that elucidates the psychological processes to predict cyberbullying perpetration.